Bulls are still betting on the PM, but the stock market rally could fizzle out if the BJP-led government doesnt deliver on its promises. Warren Buffett knows his onions. When he speaks, the world listens intently. So, his recent remarks on India should have enthused Indian investors and the analyst community. India has incredible potential, asserted the Berkshire Hathaway chairman. But Dalal Street has its fair share of sceptics. "Barring car demand, every other high frequency data indicator points to a slowing economy and the stock market appears to be overvalued," says Saurabh Mukherjea, CEO, Ambit Capital. Axis Capital CEO Dharmesh Mehta offers a contrarian viewpoint. "India is a great story and why should we be available cheap?" So is the glass half full or half empty? Vikas Khemani, CEO of Edelweiss, asserts that the glass is three quarters full. Like many analysts, he strongly believes that the Indian economy is in the midst of a structural growth phase. "For the next 5-10 years, we should see low inflation and a high growth environment," he says. Indeed, with contained inflation and a sliding fiscal deficit, the India macro picture looks quite healthy. "GDP growth of 7.1 per cent for 2016/17 shows that the impact of demonetisation has been transitory. We expect GDP growth to inch up to 7.4 per cent in 2017/18," says Dharmakirti Joshi, Chief Economist at Crisil Limited. For the moment, fund inflows are providing the adrenalin rush to stocks. Foreign Institutional Investors (FIIs) have pumped in Rs1.44 lakh crore between May 2014 to April 2017, which is a reflection of the faith in the growth story of the nation and the policies that are being framed. "This is not hot money. FIIs are doing their due diligence. Qualified institutional bidders are assessing the India story. This is therefore a faith rally," says Khemani. Supporting this line of thought is Axis Capital's Mehta, who is euphoric about the domestic liquidity scenario. Mutual funds alone have invested Rs1.63 lakh crore in equities between May 2014 to April 2017. "Not just DIIs, we have incremental money of housewives that has come in. Many quality IPOs are slated to hit the market in the current financial year and we've seen the stellar listing of D Mart already. This is pure faith in the performance." Broking firms like Edelweiss are estimating FII inflows of $15-18 billion along with $12-15 billion of domestic money pouring in by the end of this fiscal year. "In the short run, markets tend to be driven by sentiment which in turn drives liquidity. 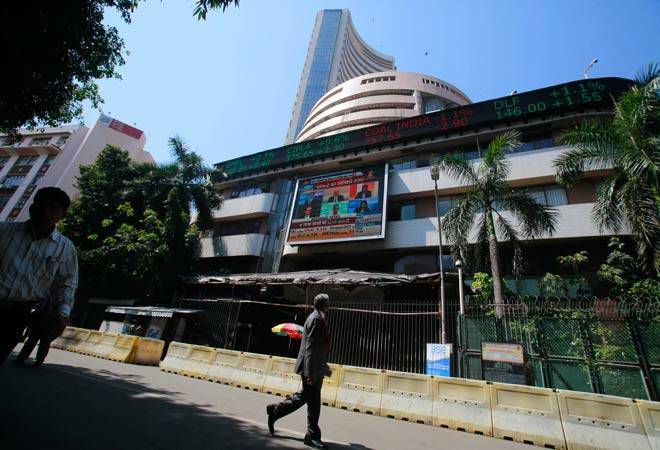 It is in the long run that the markets tend to be driven by fundamentals, especially earnings per share and return on capital employed," says Mukherjea of Ambit. Is the surplus liquidity, then, a sign of too much euphoria? Well, not really. In fact there is no euphoria. That is why perhaps, when the Sensex touched its lifetime high of 30,000 it was just another day, explain market players. There were no celebrations, rather some raised eyebrows. "We have crossed the time to make easy money. Now we are in the intermediary phase of the market where there is disbelief, fear but stability," says Mukherjea. And this fear is a healthy sign. It signals that the market is still measuring and correcting. Mukherjea puts things in perspective. "The lack of a capex cycle in India, the battered state of the banking system and weak EPS (earnings per share) growth suggests that India's fundamentals are in a less than ideal state," he says. These fundamentals are unlikely to improve at a lightning speed. Low private capital expenditure which has restrained growth, is likely to remain subdued in 2017/18. "Capacity overhang, stretched balance sheets and only a moderate pick up in demand will mean revival in the capex cycle gets deferred to 2019. Besides rising prices of oil and commodities is not great news," says Joshi. Meanwhile, efforts are on to nurse Indian banks back to health. It will take time to mend the NPAs of public sector banks (PSBs), which currently stand at almost Rs 6 lakh crore. Mounting NPAs could derail economic growth. Analysts point out that even the Goods and Services Tax (GST), likely to be implemented from July 1, could create disruption in the near term. Despite the challenges that restrict the swift pick up in economic growth, market players are taking heart from improved earnings of corporate India in the last quarter. Some analysts expect earnings to enter the double-digit zone this fiscal. Axis Capital believes that earnings could continue to surprise the markets. Mukherjea of Ambit Capital is more circumspect. "The earliest we can see double digits EPS growth is in FY19." he says. The market has seen a price-earnings expansion and has priced in future growth of two-three years in current prices. So, what will drive earnings? Its the push to reforms to create a conducive environment for businesses to flourish. "Fiscal and monetary prudence together with repair and reforms like GST and bankruptcy code initiated by the government will raise the medium term growth potential of the economy and it will only grind up," says Joshi. A promise of spending on infrastructure, opening insurance companies like GIC for divestment, giving a thrust to affordable housing plans, are among the other measures likely to give a leg up to the economy. Most analysts agree that the policies of the Narendra Modi government since 2014 has helped the indices appreciate a good 20 per cent plus. The focus of the government has been to avoid an instant boost to the economy via easy monetary and fiscal policies that had led to high inflation and deficits post the Lehman crisis period. A lot would depend on how reforms are carried out in the second half of the government's term. The market has momentum for now. To sustain the rally, Modi government would have to ensure that it delivers on its promises.